Specialist facilities create an immersive experience for our students. 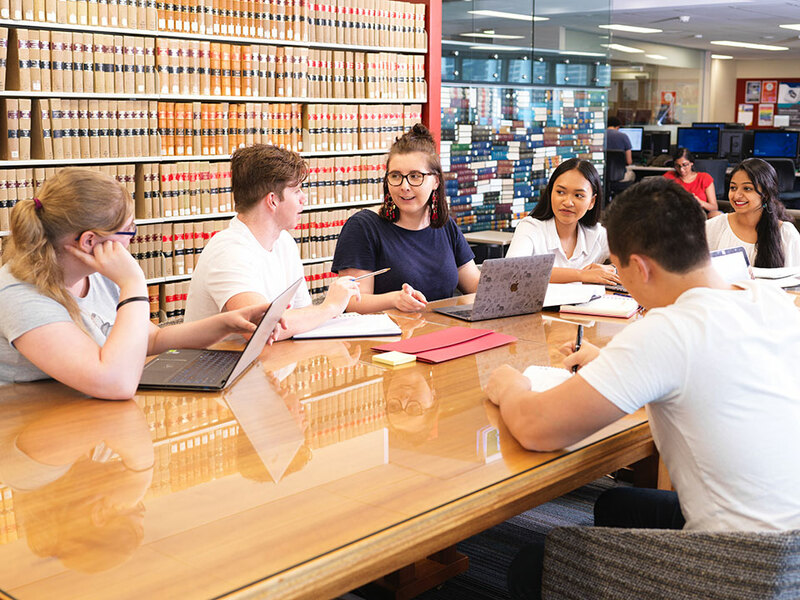 The QUT Law Library offers specialised learning and legal research support to students and academic staff. Some resources are available for legal professionals and members of the public. We also offer legal research workshops and interactive tours for secondary school groups. printing, scanning and photocopying facilities. The QUT Law Moot Court and Industrial Court provide a realistic setting for students to hone advocacy skills and learn courtroom etiquette and procedure. 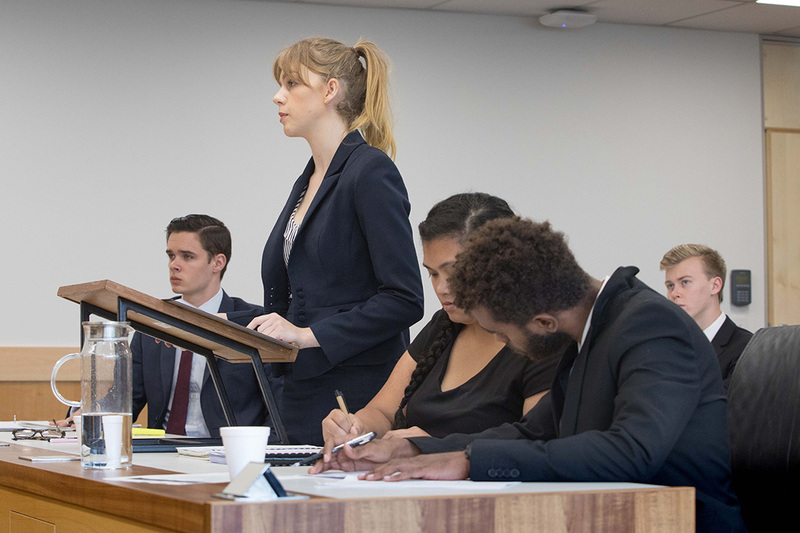 Our courtrooms have seen thousands of students build confidence and skills through our successful mooting program and the QUT Torts Moot Competition. events such as mooting competitions and mock trials. Contact us for rates and bookings.